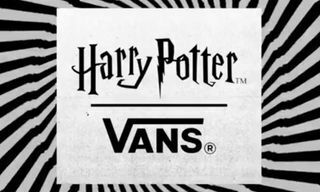 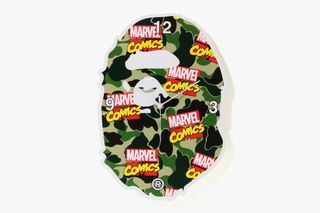 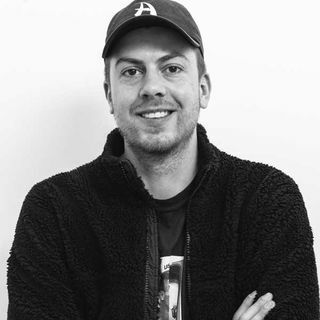 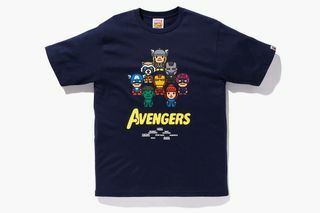 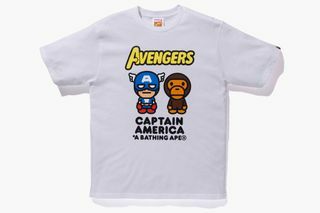 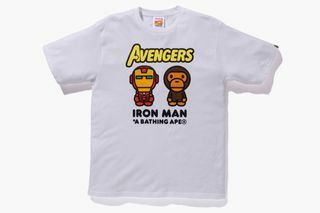 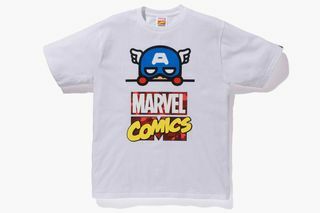 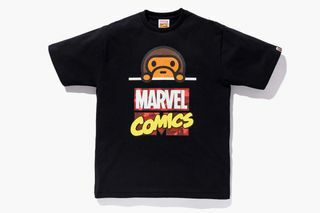 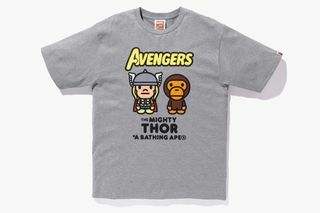 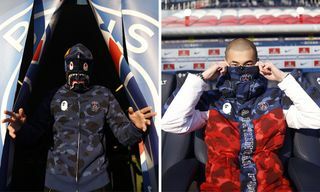 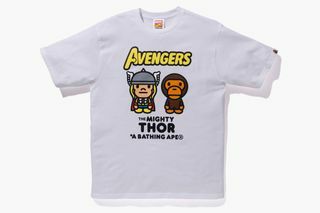 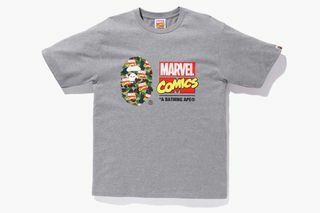 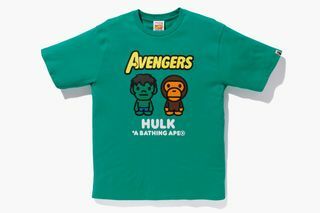 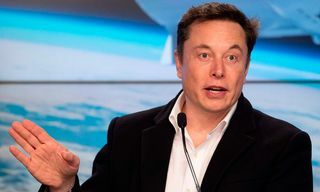 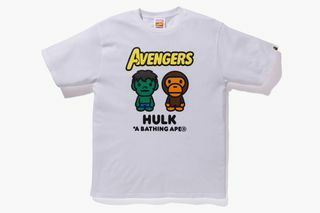 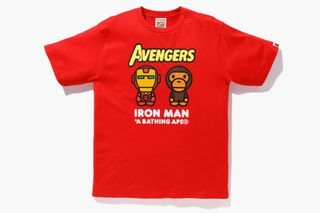 Leading up to the the April 24 premiere of Avengers: Endgame, BAPE has announced a new collaboration with comic book publisher Marvel. 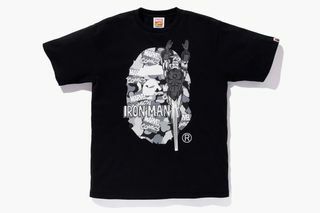 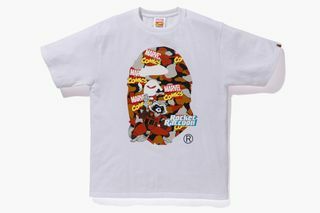 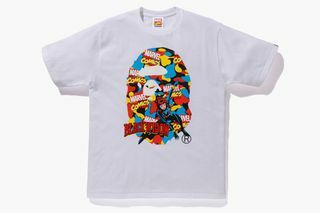 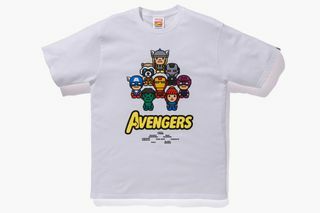 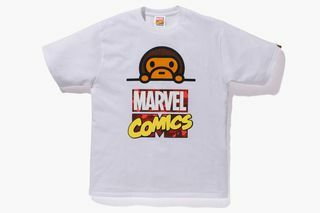 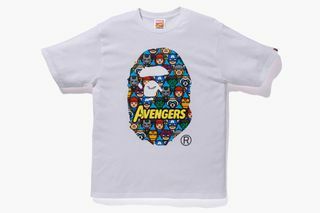 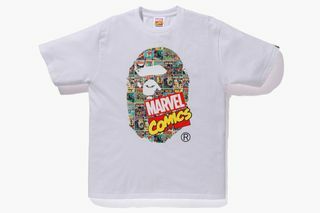 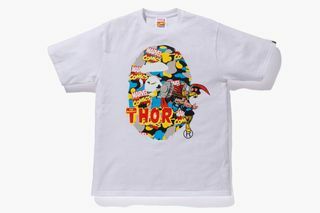 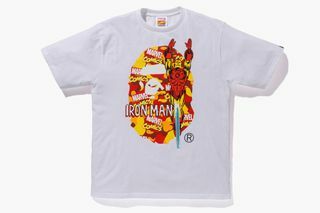 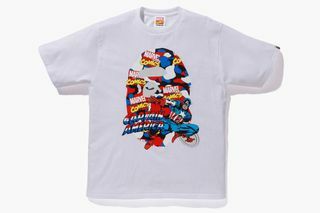 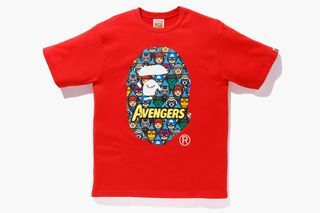 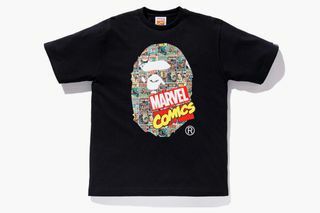 The full collection has now been unveiled via images of a range of graphic T-shirts that mix the BAPE head logo with Marvel characters Iron Man, Captain America, Thor, Black Widow, Hulk and Rocket Racoon. 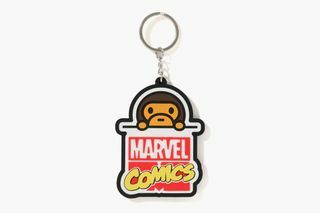 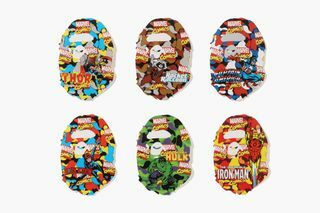 Baby Milo features throughout, juxtaposed against various Marvel characters, while accessories are also included in the form of a clock, stickers and keychain. 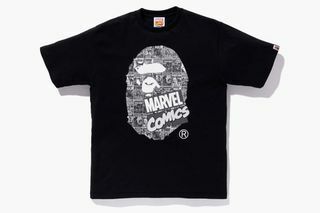 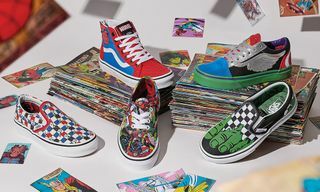 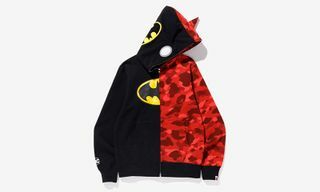 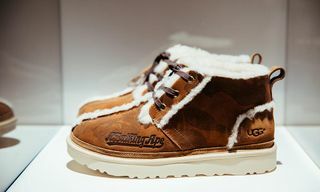 Previously circa 2005, BAPE also collaborated with Marvel to produce a series of now-iconic Bapesta sneakers inspired by Spiderman, Captain America and more, then partnered with DC Comics in 2007 to produce additional Bapestas inspired by Wonder Woman and Batman, among others. 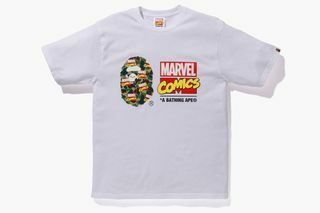 The latest BAPE x Marvel Comics collection will release this Saturday, April 27 at BAPE locations and bape.com, one day prior to the debut of Avengers: Endgame which arrives in theatres on Friday, April 26.